It’s always nice to write about nice stuff, especially if it’s nice. Coming to the Glenridge Performing Arts Center on February 5th will be the Cashore Marionettes: Life in Motion. No, not a slapstick version of Punch & Judy or a noir visitation of puppets doing Game of Thrones, just little vignettes of life – A mother and her child, an elephant unburying a dead friend or relative (don’t know which – not sure that anyone did a DNA match), an old bag lady, someone visiting a gravesite – the usual tug-at-your-heart-strings kind of imagery. All of these are done with Beethoven, Vivaldi, Strauss or Copland playing in the background. And speaking of heart strings, there are enough hand strings, foot strings, arm strings, etc. 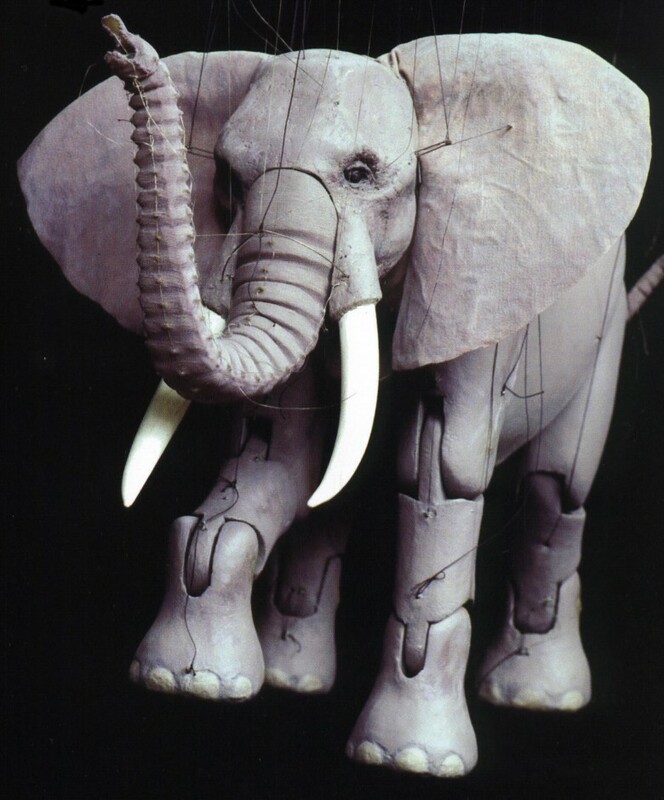 so that Joe Cashore’s creations can move with real grace. A show that can entrance children, adults and adults still wishing to be children. The South County Jazz Club has teamed up with The Glenridge to bring the Eddie Metz Trio to Sarasota on Wednesday, February 13th. Mr. Metz has been around long enough to have played with Ella Fitzgerald, Sarah Vaughn, Sammy Davis, Jr. and Rosemary Clooney so you know he can lay down a good solid track. He will, as always, be keeping things moving on the drums. Rosanno Sportiello will be on piano with Nicki Parrott on bass and vocal. The three of them have been playing on and off together for years and they can really groove together. “On and off” means that, in addition to playing together, they also lead their own jazz trios. If you like their sound you might want to listen to their Arbors Records release “Live at the Jazz Corner.” Besides such jazz standards as Spanish Eyes and St. Louis Blues, they do a nice Chopin medley including Nocturne Op. 9 No. 2 and Fantaisie Impromptu, Op. 66 – very soft and mellow. The Hermitage Artist Retreat was created to provide a place for artists to relax and work on their craft. To regenerate and progress. To grow. In 2012, Bruce Rodgers, Executive Director of the Hermitage, coupled with the Greenfield Foundation, presented composer-pianist Vijay Iyer with their highest honors in recognition of both his achievements and his potential. Today that potential has been fully realized and is recognized worldwide. 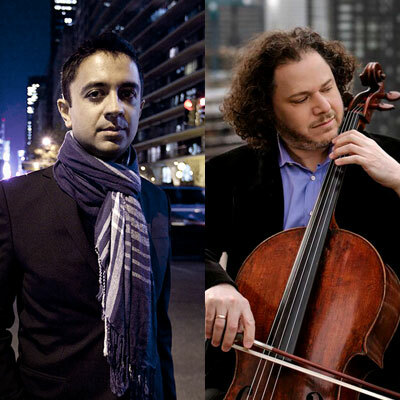 Later this month (Feb. 22 and 23) Vijay Iyer and Matt Haimovitz (cello) will be playing at the Historic Asolo, the lovely theatre on the grounds of the Ringling Museum. It is probably (possibly?) true that Iyer could compose a piece for piano and kazoo and it would be lauded by kazoo fans everywhere. Maybe. In any case, a few years back Haimovitz commissioned Iyer to write a prelude to Bach’s cello suite in C major; he produced a stunning work. Based on their mutual love of music and their ability to work seamlessly together they have started performing concerts around the US. When Haimovitz was 12, the violinist Itzak Perlman said he should study with the cello virtuoso Leonard Rose at Juilliard. Rose later said that Haimovitz was “probably the greatest talent I ever taught.” As for Iyer, he was named by DownBeat Magazine as Artist of the Year in 2012, 2015 and 2016; also Pianist of the Year in 2014. In 2013 he was awarded a MacArthur “genius grant” for “forging a new conception of the practice of American music.” He is now a chaired professor of music at Harvard University when he is not out performing concerts like the ones coming to Sarasota. In recent concerts they’ve been playing compositions by Zakir Hussein, John McLaughlin, J.S. Bach, Ravi Shankar and Billy Strayhorn, as well as works by Iyer. On the visual arts side of the Ringling Museum, Watercolors from the Permanent Collection runs thru Feb. 3 while the video projects of Coco Fusco, entitled Twilight, will continue in the Monda Gallery through Feb. 17. It explores the social and political climate in Cuba as the Revolution enters its twilight years. Two other ongoing exhibits are Japanese Woodcuts, and European Armor from the Middle Ages and the Renaissance. In somewhat related news, the three installments of Antiques Roadshow recorded in Sarasota last year at the Ca’ D’ Zan will be aired on WEDU on January 28th and February 4th and 11th. Info on everything at Ringling.Org. Street, Augusta National golf course, church, play or musical? The Amen Corner is a street in London where monks chanting the Lord’s Prayer on the way to St. Paul’s Cathedral traditionally say Amen; it’s the 11th, 12th and 13th holes where even golf greats have trouble, during the Masters tournament; the area of the church where the most vocally devout congregate to prey; it was a novel and then a play by James Baldwin (Baldwin also wrote the novel on which the current movie, If Beale Street Could Talk, was based); and finally, in 1983, a musical (a stripped down Gospel oriented version) based on the aforementioned play, starring Ruth Brown. The Amen Corner most relevant is the play by James Baldwin, which opened in 1965. Interestingly, this play was first produced by Maria Ellington Cole – know to many as Mrs. Nat “King” Cole. Given that The Amen Corner was first performed the year after the passing of the Civil Rights Act of 1964, and the same year as the Voting Rights Act of 1965, one can understand why Mrs. Cole would find this to be an important play. And why, in fact, James Baldwin felt compelled to write the novel in the first place. The director of the play, Frank Silvera, also a civil rights activist, directed eight other plays (The Lady of the Camellias, Jane Eyre, A Hatful of Rain, The Skin of Our Teeth, Camino Real, etc.) and acted in all of them. The Sarasota production is by the Westcoast Black Theatre Troupe located on Orange Avenue, just north of 10th Street, and is running from when you read this through March 3rd. 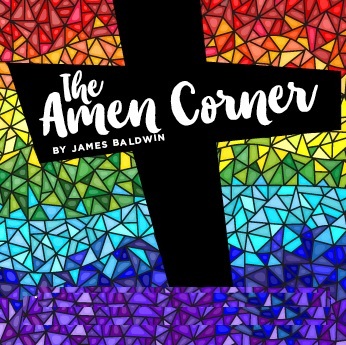 The Amen Corner takes place in a “corner” church in Harlem and explores the role of the church in an African-American family. It should be noted that David Baldwin, James’ step-father, was a preacher – as was James, from the ages of 14 – 17. Thus “the church” may have been one specific church and Baldwin’s family or, because of Baldwin’s powers of observation and his writing skills, may have been the combination of many churches and many families. Visit Westcoastblacktheatre.org for tickets and also information about their next show, opening March 13th – Love Sung in the Key of Aretha.